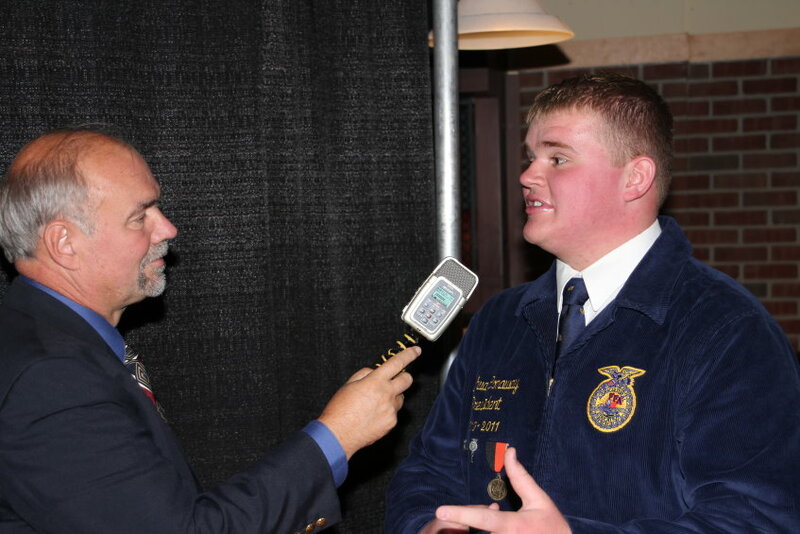 The 2010 National Proficiency Award in Nursery Operations was awarded to Joshua Conaway of the Ringwood FFA Chapter. Joshua Conaway of the Ringwood High School FFA Chapter in Oklahoma started his nursery program in the school greenhouse. Today, he has diversified his horticultural endeavors to include raising water pond plants, ground cover and bedding plants. He has learned the art of running a successful nursery, including the ability to identify weeds and detrimental insects. Most importantly, Conaway has derived great passion from his agricultural experiences. This is something he hopes to pass on as he studies to become an agriscience teacher.